Explore our collection of downloadable audio and video files as well as our shippable CDs. 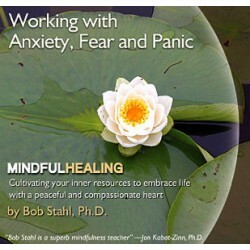 Here you can find the entire “Mindfulness Healing” series by Bob Stahl, Ph. D. as well as other mindfulness resources. 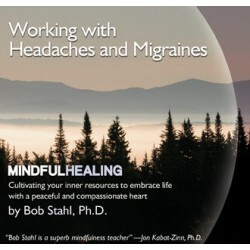 Purchase and download the "Mindfulness Healing" audio series by Bob Stahl, Ph.D. and other meditation and mindfulness audio tracks. Once purchased, your files can be downloaded right away via a link that will be delivered to your email address. If you create an account during the checkout process you will always have access to your downloads from your customer dashboard. 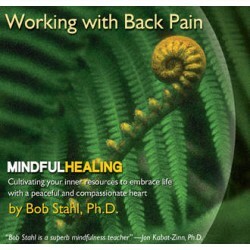 If you are living with back pain, this set of educational audio tracks will introduce you to mindfulness meditation and teach you simple, profound tools that can decrease your pain and bring you greater balance and peace. 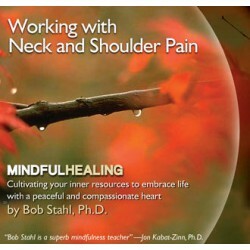 If you are living with neck and shoulder pain, this set of educational audio tracks will introduce you to mindfulness meditation and teach you simple, profound tools that can decrease your pain and bring you greater balance and peace. 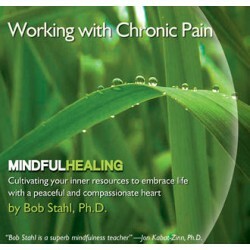 If you are living with chronic pain, this set of educational audio tracks will introduce you to mindfulness meditation and teach you simple, profound tools that can decrease your pain and bring you greater balance and peace. 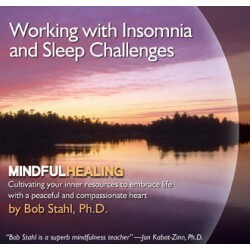 If you are living with insomnia and sleep challenges, this set of educational audio tracks will introduce you to mindfulness meditation and teach you simple, profound tools that can help you fall asleep and stay asleep longer. 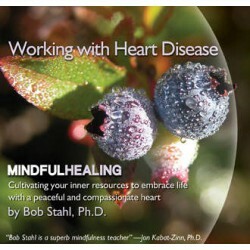 If you are living with heart disease, this set of educational audio tracks will introduce you to mindfulness meditation and teach you simple, profound tools that can improve your health and bring you greater balance and peace. 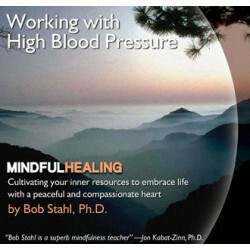 If you are living with high blood pressure, this set of educational audio tracks will introduce you to mindfulness meditation and teach you simple, profound tools that can help stabilize your blood pressure and bring you greater balance and peace. 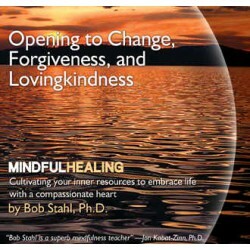 This educational, interactive audio program will introduce you to mindfulness meditation practices and teach you simple, yet profound tools that will help you open to change, forgiveness, and lovingkindness. 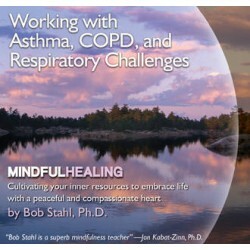 If you are living with respiratory challenges, this audio program will introduce you to mindfulness meditation and teach you simple, profound tools that can decrease your feelings of anxiety, help you breathe easier and teach you to regulate a breathing crisis. 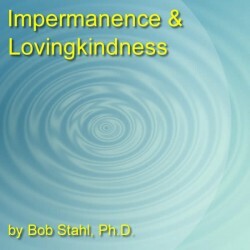 The Impermanence and Lovingkindness mp3 download is a guided meditation on death, love, and healing. This CD is guided meditation solely and contains no educational information. 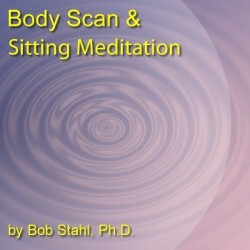 The Body Scan is a meditative practice to help us get in touch with our body and mind. We learn to bring attention to the body, part by part and directly observe and acknowledge whatever feelings that are being experienced. 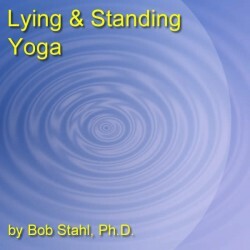 Mindful Lying & Standing Yoga is designed for bringing compassionate awareness to the body. Poses are taught in a very gentle manner along with the focus of mindfulness that pays close attention to what one is feeling physically and emotionally.